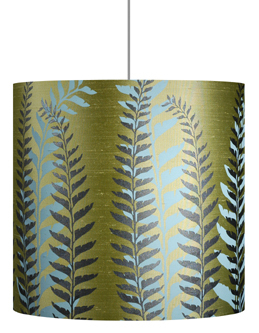 Lampshades screen-printed on silk or linen. Silk cushions and wallpapers. 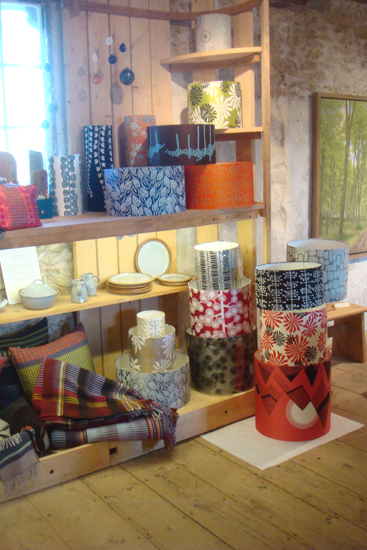 Two talented designers and printers seem to capture the moment with their colours and bold prints. A selection of all the above stunningly on show at Sladers Yard. Feel free to bring in a lampbase and try them on. Missprint are efficient in working to commission.